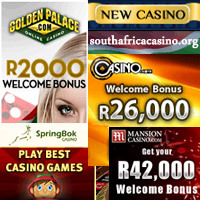 Most South African casinos offer a variety of options to deposit and withdraw cash, and it is worthwhile investigating which are the cheapest and most effective for you, depending on where you’re based. eWallet solutions have far surpassed traditional credit cards and bank transfers because of their quick and easy access and integration with online casinos. They are also much quicker in terms of processing and charge much lower fees than SWIFT transactions, for example. 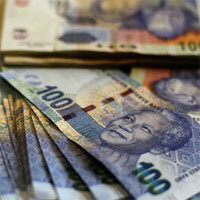 Popular e-Wallet solutions like Skrill (Moneybookers), NETeller, Click2Pay, PayPal, uKash, and my Citadel. These are secure, well-established payment mechanisms however not all of them accept applications from all countries. NETeller and Skrill are generally the two best options in this category. Links are provided below if you’d like to check out their offerings and to confirm that they accept accounts from your country. In many countries, the most popular way of transferring cash remains the major credit and debit cards (Mastercard, VISA, Maestro, Amex, Solo, etc). You should check with your respective financial institution to confirm that they allow gambling transactions on your issued card. Although it takes a bit longer to process and reflect, bank transfers (wire transfers, EFT, SWIFT etc) work well as deposit and withdrawal options. Besides the timeframes, the costs and minimum amounts with this method are usually higher than other options. It usually takes some time to set up because of anti-money-laundering regulations, but setting up an e-Wallet solution, like NETeller and Skrill is probably worth the time and effort if you’re going to be gambling for money online. 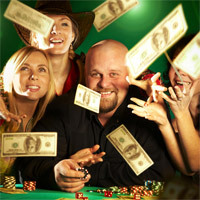 As an added bonus, online casinos tend to prefer these deposit methods as it’s faster, less administration for them, and equally secure – as a result they often offer extra deposit bonuses up to 10-15% when you use these e-wallet solutions. 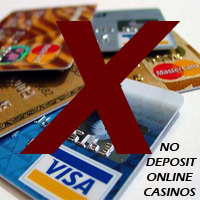 After your account is approved, you would fund your account with a bank transfer or credit card and then, after that is processed, use your e-Wallet account to make deposits directly into your online casino account. 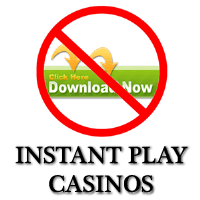 If you’re security conscious then this approach has the added benefit of not having to disclose your credit card, or bank details, to the casino operators.